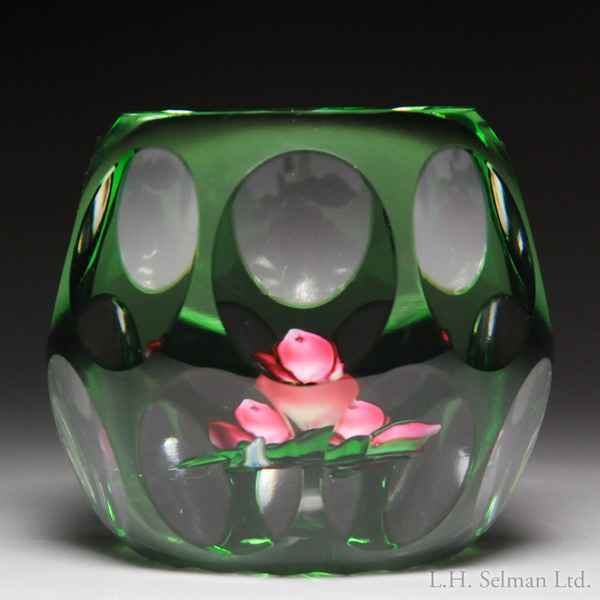 Perthshire Paperweights (1980) rose overlay faceted paperweight. A dimensional pink rose, on a stem with a bud and green leaves, rests over a clear, star-cut ground. Transparent green overlay. Two rows of eight side facets and one top facet. Limited edition of 200; 167 made. Signature cane. Extremely fine condition. Diameter 2 5/16".